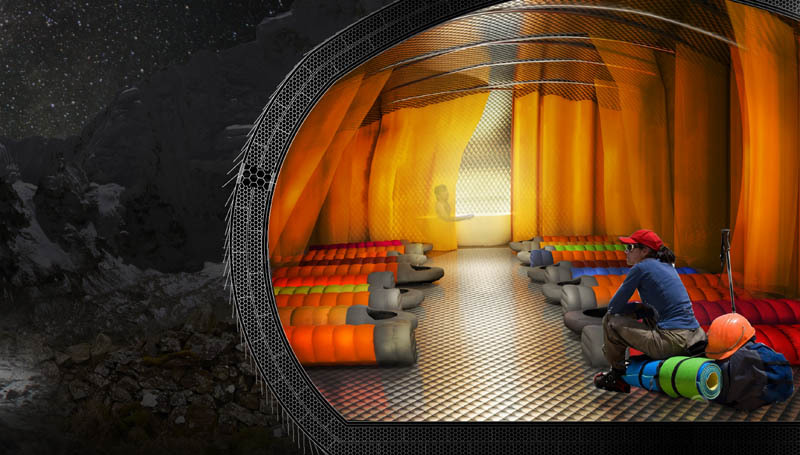 The results of an international contest to design a Himalayan shelter has just been announced, with Polish teams receiving the second and third prizes. The aim of the contest was to create a building concept which would provide shelter in very demanding environmental conditions. This international architectural contest for the shelter, meant to be produced in the Nepalese part of Himalayas, was set up by the Samarth – Nepal Market Development Programme, which works to improve the quality of infrastructure in Nepal, especially in less urbanized areas. The Himalayan Mountain Hut contest aimed to select the most interesting concepts for mountain havens for travellers. Entrants had to design the form of a small building that would be built in awkward regions of the Himalayas which are nonetheless visited by climbers. In this small building, mountaineers should be able to relax, have a meal, and warm up. 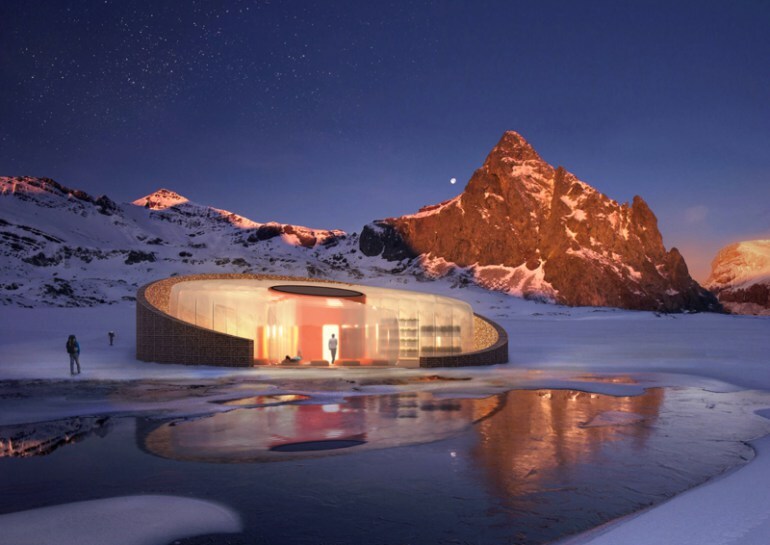 The form of the object would have to fit to the special landscape; moreover, the home would have to be completely safe – resistant to avalanches, wind, etc. The first prize was awarded to an Italian team made up of Davide Prioli, Dennj Avanzi, and Andrea Mancini. 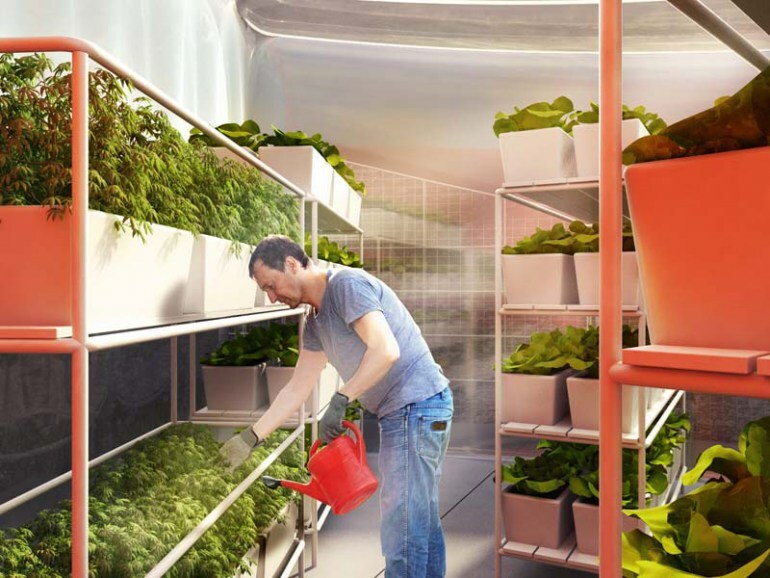 The architects proposed an easy-to-install pavilion based on identical modules, each of which would serve a different function (one for resting, one for sleeping, another for preparing meals). An important element of the project was colour: each module would be painted in a different, vivid colour. Due to this idea the shelter would be more visible, and also a colourful addition to the snow-covered landscape. The second and third prize in the competition were awarded to teams from Poland. Dorota Szlachcic, Mariusz Szlachcic, Julia Kisielewska and Wojciech Klapcia from the Wroclaw workshop Fabryka ArC2 Projektowa won the second prize for their design inspired by the forms of a tent and a sleeping bag. Their pavilion, supported on a frame of poles and carbon fiber and covered with plastic, is reminiscent of a modern sleeping bag. As a result, the building would be insulated from the cold, but also well ventilated. The outer shell of the pavilion can also be partially covered with photovoltaic cells, producing energy from the sun. The lightweight, flexible design of the pavilion can be easily adapted to different needs and locations. The building is easy to put up or down, as well as to adapt to the terrain. The jury appreciated the simplicity of the idea, as well as its versatility. The third prize in the contest was given to a team composed of Agata Dziemianczyk, Jedrzej Pawlaczyk, and Miroslaw Wojcieszak. These graduates of the Poznan University of Technology proposed a shelter combining the latest technology with the architectural tradition. The outer walls of it would in fact be made of steel mesh enclosed within a net composed of stones – a traditional gabion wall would remind us of local building solutions. However, inside the stone wall architects want to insert a pavilion made of the innovative material called EFTE. This modern plastic film (ethylene-tetrafluoroethylene) is strong, lightweight, and suitable for the largest of canopies. The architects from Poznan also developed a way of building its pavilion: all its components would be delivered to the Himalayan slopes in the form of handy packages then set up on-site. Although when announcing the competition, the organisers did not set a time for the implementation of the rewarded concepts, today – less than two weeks after the tragic earthquake in Nepal – we know that the winners’ ideas have a chance to be adapted to new needs: temporary shelters based on these designs will be built for the victims of the tragedy in the Himalayas.